HK continues struggling to catch up to other advanced economies in IT. Wang Yuke reports. As Hong Kong presses the accelerator on long neglected IT development, experts say the city still lags behind other locales, right from primary school up. While schools in other cities move quickly to introduce mandatory computer coding to school curricula, even at the primary school level, IT training in Hong Kong is nascent. The government has embarked on its Enriched IT Class Programme in eight, selected secondary schools among more than 1,400 primary and secondary schools from 2015/16 to 2022/23 school year. By contrast, the UK mandated coding classes for all children between 5 and 16 in 2014. Children in the Canadian province of British Columbia will be required to learn coding, beginning this September. Finland, Italy and Singapore are making similar moves to update school curricula. Despite the dilatory start, Ray Cheung Chak-chung, associate professor in the Department of Electronic Engineering at the City University of Hong Kong, is confident Hong Kong can catch up. He emphasizes that the critical thinking skills learned from coding are important in today’s work environment, and will become critical in job markets of tomorrow. 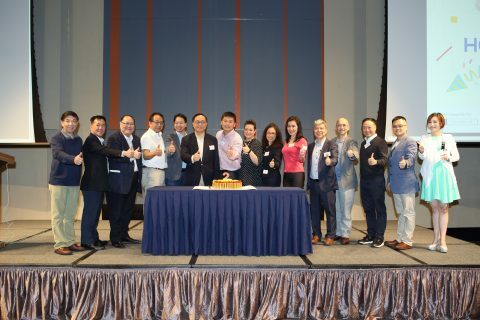 This year, all local Hong Kong secondary schools are being invited to apply to participate in the Enriched IT Activities Programme, running from March to December. The value of teaching children to code, said Daryl Ng Win-kong, an executive director of Sino Group, is that it gives children a solid foundation in problem solving. 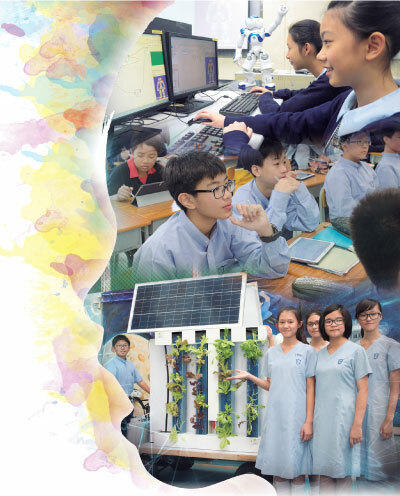 The acquisition of critical thinking skills is a marked diversion from Hong Kong’s examination obsessed educational system, Ng said, adding that coding is also a spur to creativity, as each new application has its own distinctive character and mechanism. So far, more than 300 primary school pupils have completed the preliminary program called “Go Code” that began in 2014. The program was initiated by the Sino Group, working in conjunction with social service groups. Ng remarked that every application written by young coders is unique, helping students to embellish their creative faculties. “Apart from English and Chinese, coding is a universal language,” said Ng. Silicon Valley is braced for a potential tech-bubble meaning lost jobs. Opportunities in high-tech elsewhere have flat lined but the value of learning computer coding is not limited to students aiming for careers in the field. The importance of the training lies in the challenge for kids to “reckon things out”. Hong Kong still faces a shortage of IT workers. The demand for technicians already is outstripping the number of qualified graduates. Globally, half of all professional positions and white collar jobs demand at least some IT skills. The percentage is expected to climb up to 77 percent by 2020, predicted Joelle Woo, director of Business Development & Developer Experience at Microsoft Hong Kong Limited. The Vocational Training Council (VTC) offers its own projection that demand for new professional talent in IT jobs will surpass 4,800 annually by 2020. Another important facet of the Go Code program is that it targets especially underprivileged kids. All 300 of the graduates so far come from underprivileged families. Ng noted that families hard pressed to pay for monthly necessities can’t afford after school classes for their children. So if those kids get left behind, they could also be left out socially. On the other hand, if they learn coding, they may have a better chance of breaking out of the poverty cycle. For their graduation project, students were challenged with creating an alarm application. Every application handed in was unique, underscoring the importance of original thought. Chiu Ka-wing, 12, was proud of her first creation, the “shake alarm app”. When the alarm goes off, instead of turning it off or hitting the snooze button, one has to shake the tablet fiercely with two hands to make it stop. After the furious movement, one is too alert to get back to sleep. Chiu compared coding to dragging building blocks and arranging them in a precise order. An omission or an addition of a single character or a reverse order of two code sequences means failure. “Children’s exposure to coding does not mean they all have to develop it as a line of work when they grow up. They can still become doctors, business executives, musicians or whatever they want to be. But everyone can use coding skills to work with greater efficiency and quality, whatever they may choose to do,” said Ray Cheung, director of the Apps Lab at City University (CityU) of Hong Kong, a project that aims to encourage students to develop mobile software from a university-based platform. Cheung believes the teenage years are golden time for learning coding. But even children between 5 and 10 can make big strides because they can absorb new concepts easily. The Apps Lab has kicked off its Ambassador School Program, to expose more secondary and primary students to coding and IT education. Lok Sin Tong Yu Kan Hing Secondary School is among the 24 participating schools. The school introduced a mandatory coding course into its Technology Curriculum in 2014. Form One students learn Scratch, a rudimentary programming language that teaches students to write commands to manipulate a robot to perform simple movements. Students really into coding can join the supplementary Elite Coding Class after regular school hours. Fung Ling-chung is very interested in coding. He hopes to invent a robot that can pass through an extremely narrow gap, where humans can’t go. The robot could be directed to help in search-and-rescue after a disaster. 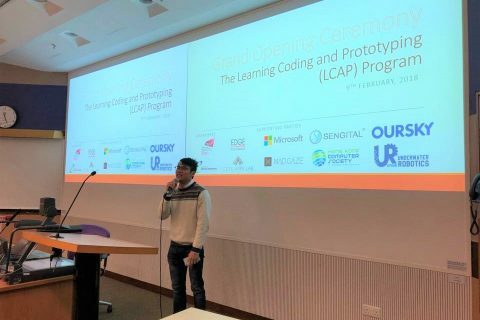 “The greatest benefit of learning to code is to help students develop logical and critical thinking as well as creativity,” said Lee Chi-yip, one of the coding teachers at Fung’s school.